According to Medical News Today – There are at least 15 health benefits of pomegranate juice, the most popular Christmas fruit. “Green juice isn’t the only healthy option out there. Adding pomegranate juice to your diet may reduce your risk for chronic disease and inflammation. It’s also a great way to get the fruit’s nutrients and a boost of antioxidants. “Pomegranate juice contains more than 100 phytochemicals. The pomegranate fruit has been used for thousands of years as medicine. “Today, pomegranate juice is being studied for its many health benefits. It may help with cancer prevention, immune support, and fertility. “Pomegranate juice contains higher levels of antioxidants than most other fruit juices. It also has three times more antioxidants than red wine and green tea. The antioxidants in pomegranate juice can help remove free radicals, protect cells from damage, and reduce inflammation. “While there haven’t been long-term studies with humans that prove that pomegranate juice prevents cancer or reduces the risk, adding it to your diet certainly can’t hurt. There have been encouraging results in studies so far, and bigger studies are now being done. 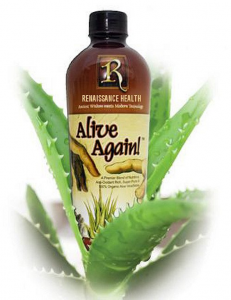 Our product, ALIVE AGAIN, contains 11 Super Fruits including Pomegranate juice. Read about it here and Order some now for your healthy Holiday Beverage supplement choice this year.